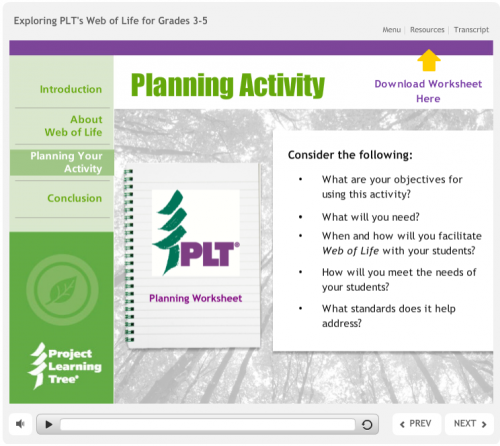 Embedded quizzes are a feature in PLT’s new online curriculum and professional development. Almost everyone who attends a PLT in-person workshop praises the experience. In addition to solid information and PLT materials, participants make connections with others interested in environmental education and experience the power of hands-on learning that they wish to impart to their students. Until recently, PLT only offered in-person workshops. But there are many times, because of schedule, geography, or a host of other reasons, when online training makes the most sense. Now, in its continual efforts to innovate based on educator needs, PLT offers online professional development for its new e-units, as well as for PLT’s PreK-8 Environmental Education Activity Guide, Environmental Experiences for Early Childhood, and GreenSchools programs. 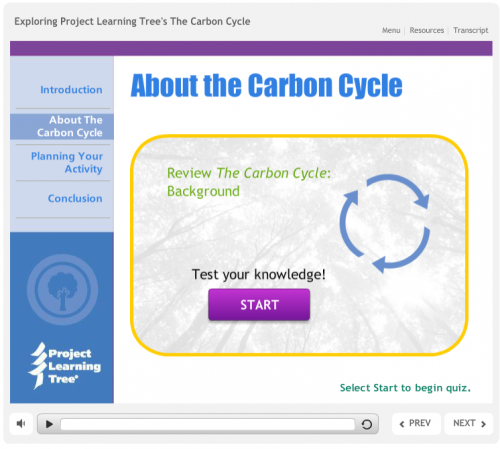 An example of a lesson planning activity. 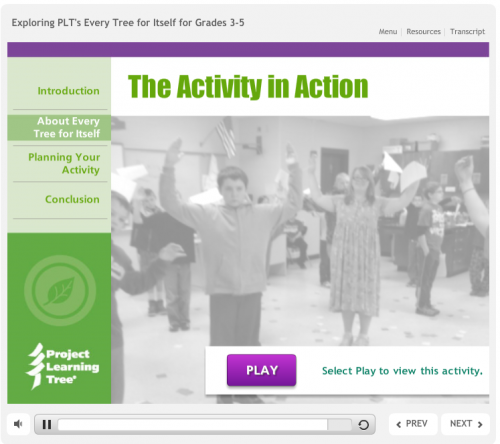 Videos show PLT activities in action and illustrate the 5-E Instructional Model (engage, explore, explain, elaborate, and evaluate). Customized by state; direct contact information for state coordinator and, in many cases, additional state-specific activities or resources. Learn more about our online workshops and watch this video slide show A Closer Look at PLT’s Online Workshops: What’s included, and how to get started.